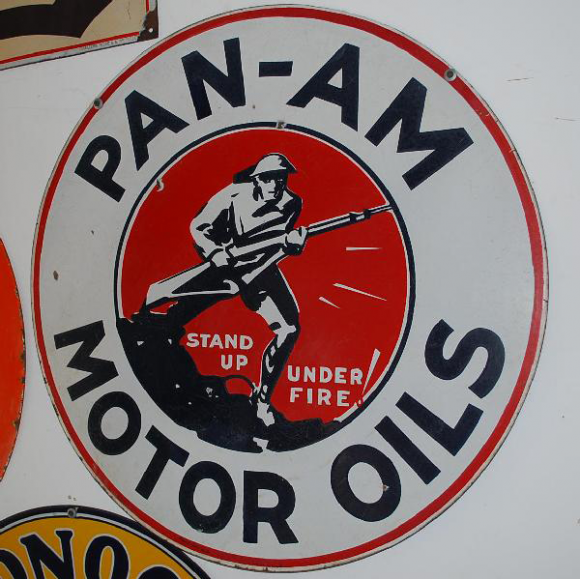 This is a round Pan-Am Motor Oils porcelain sign. This particular Pan-Am Motor Oils sign is predominantly white with black text. It reads, “Pan-Am Motor Oils, Stand Up Under Fire!” and features a soldier holding a gun against a red background in the center.